Is the "Obsolete" supposed to uninstall the old-named app? Yes, but it does not prevent re-installing. This happens because you have .yaml file in your project, and .specs file is generated from it. Add those options to yaml file. Refer to Spectacle-yaml readme for specification and sections description. Anyway thank you for all your help and guidance, I think I might have bothered you a lot. When I use the search function, the text field only shows "upper half" of the words/letters, making it hard to read what I'm typing. Can you fix it? Thank you. Search field will be fixed in next update. When the app finds updates (while in mainscreen - searching for updates per pulldown), you have to tap to proceed. 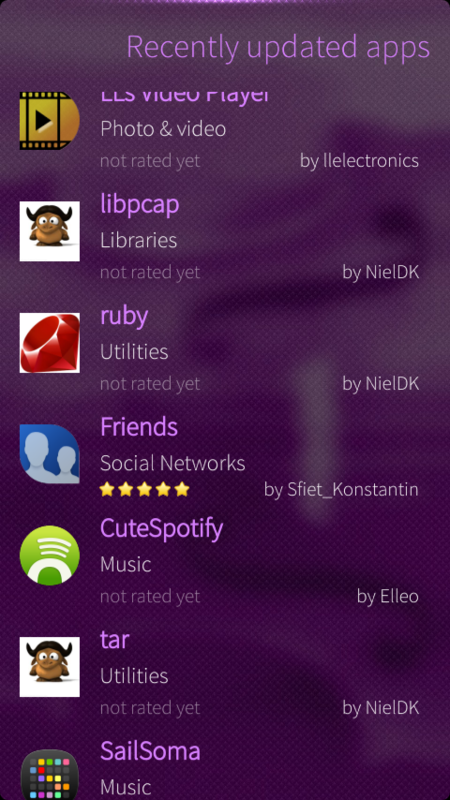 But to me it seems that the default on SailfishOS is tap to cancel. Since there is no default UI notifications elements, "tap to proceed" used for notification & action, because warehouse cannot force page switch. This notification appears when any updates available, even if you havent search for them, i.e. from last warehouse start, or after performing console command. I like this app, I love checking in and seeing what's new. I like the automatic offering of updates to installed apps. I noticed sometimes there isn't a place to add comments on some apps here and there. Comment settings depends on publisher. It can be disabled for specific application, to avoid spam, and so on. Currently numbers shows all packages available at openrepos for harmattan, sailfish, nemomobile and does not show number for your specific platform. In future releases this will be fixed. What an application. Thank you Basil! Goodbye Nokia Store, wellcome Warehouse! 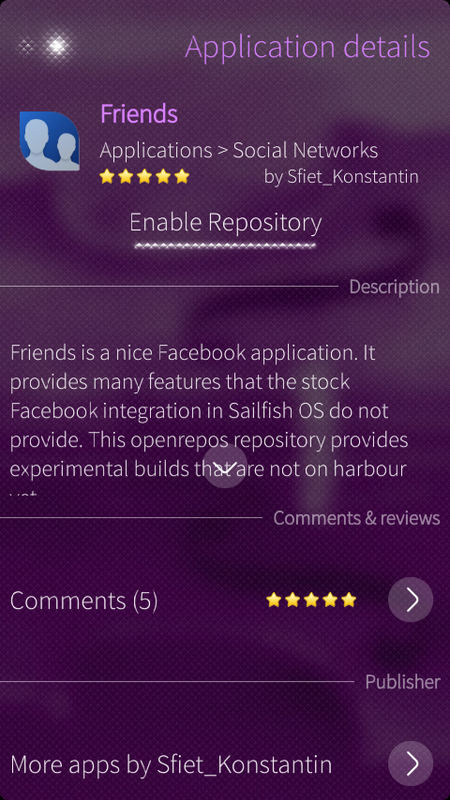 I will recommend it to all my N9 and Sailfish friends. Works perfectly also with Sailfish, too. 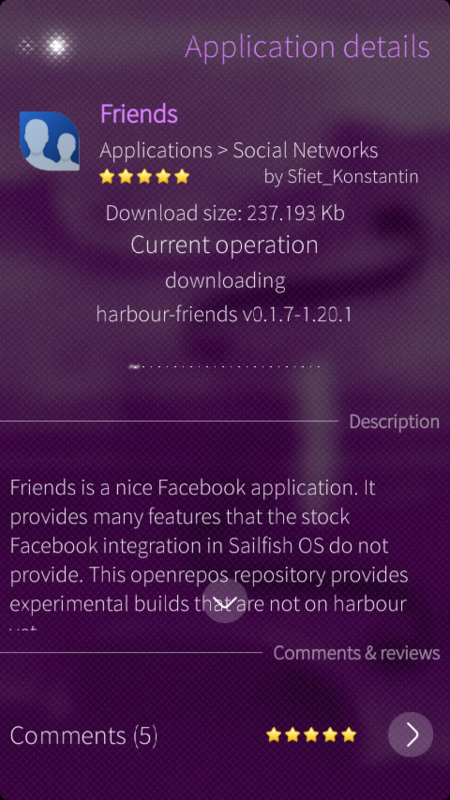 When Warehouse was loaded with Jolla , it went into Downloads box af first. From Downloads boc it was found with FIle Browser program. Finally the installatioin was done then very easy by tumbling / clicking the file. Sailfish version is actually working well. Great work. 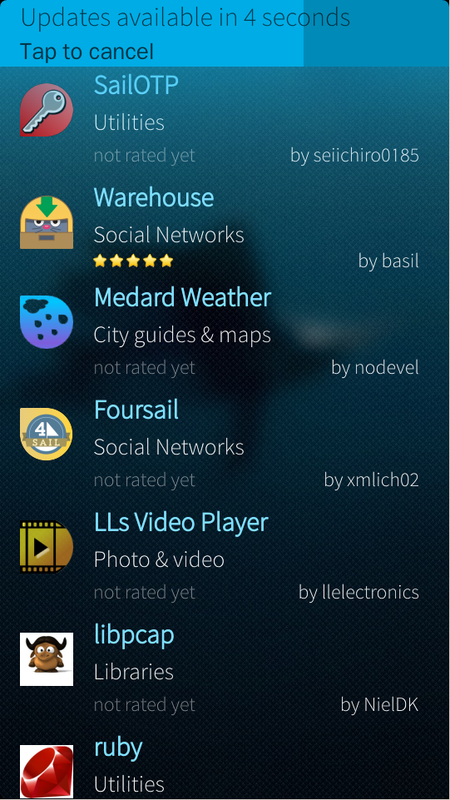 Looking forward to get this "Warehouse" on SailfishOS. Great application, and thank you so much for helping me with this application tiday Basil. I've been following the OpenRepos project for a while...and I dare to say you guys are great!